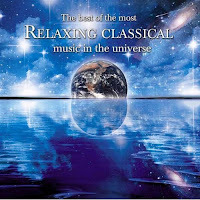 The Best of The Most Relaxing Classical Music Download for Free! Enjoy!! I love listening to Classical Music as I am working on the computer!! Okay, so I have to admit that I don't normally "do" classical music. When I think of classical music, I think of Masterpiece Theater and that just doesn't amuse me!! Am I terrible, or what? HA! I haven't thought about Masterpiece Theater in a long time!! Listen to some of the download...the music is so soothing! And, No, you are NOT terrible! :) I had a college roomie who was really into classical music, and I guess I just learned to like it! Wow, this is nice.. thanks for sharing A.Marie, will check it out!